Ever need a large bowl of something light, creamy and yummy for your table or even a potluck dinner? Well, look no further. I actually got this recipe from my mother-in-law. She brought it to a large family gathering of both sides of the family and it was a huge hit!! It is seriously delicious. I don’t think I have ever met anyone who did not like this one. I don’t know but something about the Jell-O and the pudding together really makes the texture different from your traditional jello salad. This is great for Thanksgiving dinner. There are so many rich and savory items on our plates that a little sweetness just helps to balance it all out. I really am one that likes sweet food, so I always try to have something a little sweet with dinner. Really, it is great anytime though. It does make a large bowl, so it is great to take to any potluck as well. And the best part about it is that you make it the night before you need it and it is completely ready to be set right on the table. Gotta love that!! It will keep in the fridge too, so don’t forget it goes great with all the Thanksgiving leftovers. Only 1 week left until the big day! Are you ready? Cook the first four ingredients at least 3 minutes; bring to a boil and let cool. 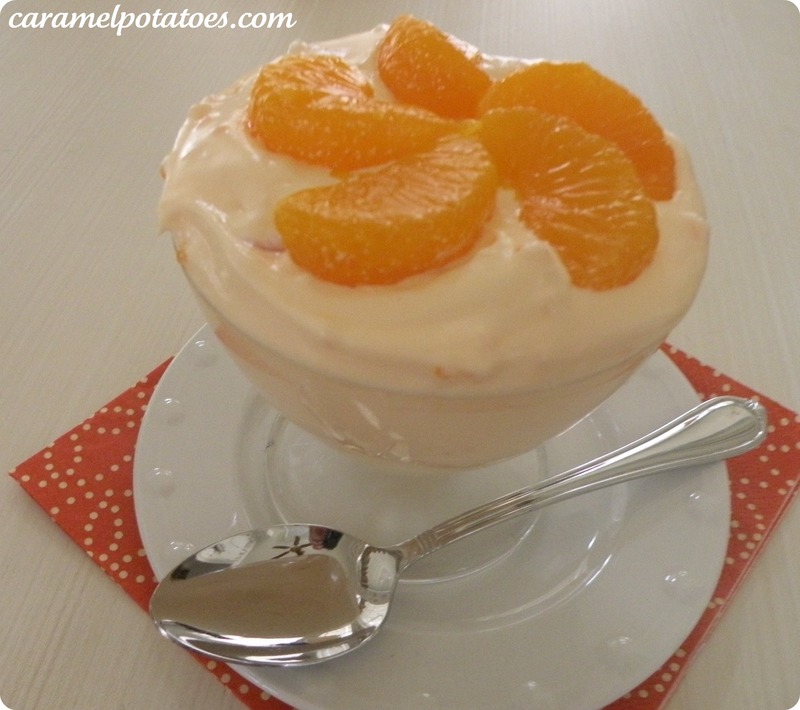 Add mandarin oranges and cool-whip. Put in bowl and refrigerate overnight or at least 5 hours. Hurry – today is the last day to enter our Cupcake Topper Giveaway! Which is your favorite? Enter here. Jocelyn’s right – this is now a favorite on our side of the family too! My boys LOVE IT! 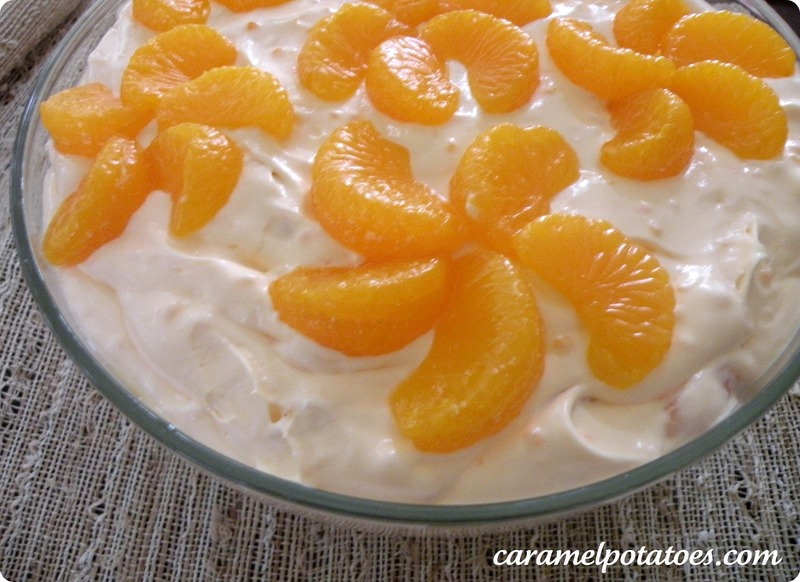 I will be making this for one of my Christmas day desserts and will let yall know if it is a hit. It sounds delish! Thank you so much1! I noticed it calls for 2 cans of mandarin oranges is it the little cans or the big can?? Dee – it’s 15 ounce cans. Hope you enjoy it! Have a wonderful Christmas! !